That’s how I started my -” I Have Discovered – Efren. You Should Too! !” – and I think it’s equally fitting to start this introduction with the same line, because Efren is just that.. Excellent! Formed in Athens, Georgia, this year – Efren, named after his father-in-law, is a musical project with no human face or names, somewhat anonymous, in an effort to emphasize the music and art, the stories and the emotion not the physical image and hype. 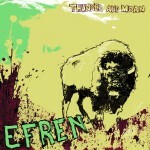 Using a brother’s art and the free production/recording techniques Efren is trying to break even the most rebellious DIY mindset of the music business. By using expansive Internet promotion and releasing 3 rough mixed tracks, Efren received multiple print publications and Internet bloggers writing reviews and interviews before even performing live in public. Drawing from roots music of folk, blues and country but also acknowledging the present indie rock music offerings. With strains of Bob Dylan, Neil Young and Bonnie Prince Billy, the dark rambling songsters to the smooth lo-fi indie sounds of Iron & Wine and Wilco, Efren lets the listener connect by allowing the audience onto the front porch. With much preparation a band was formed over the summer of 2009 to perform this music. Eerie harmonies, acoustic guitars, an upright bass and a small jazz drum kit comprised the band to play Efren. Being soft and then growing to great volumes, the live presentation of Efren has been impressing audiences in Athens, GA and surrounding towns. Sitting with the audience and playing these songs, accessibility to the band and musicians is easy as you are drawn into the intense but effortless tales of this new folk music. This is something that is about real people, real loss, gain and real whiskey, something that more than just acoustic or folk fans can connect with. 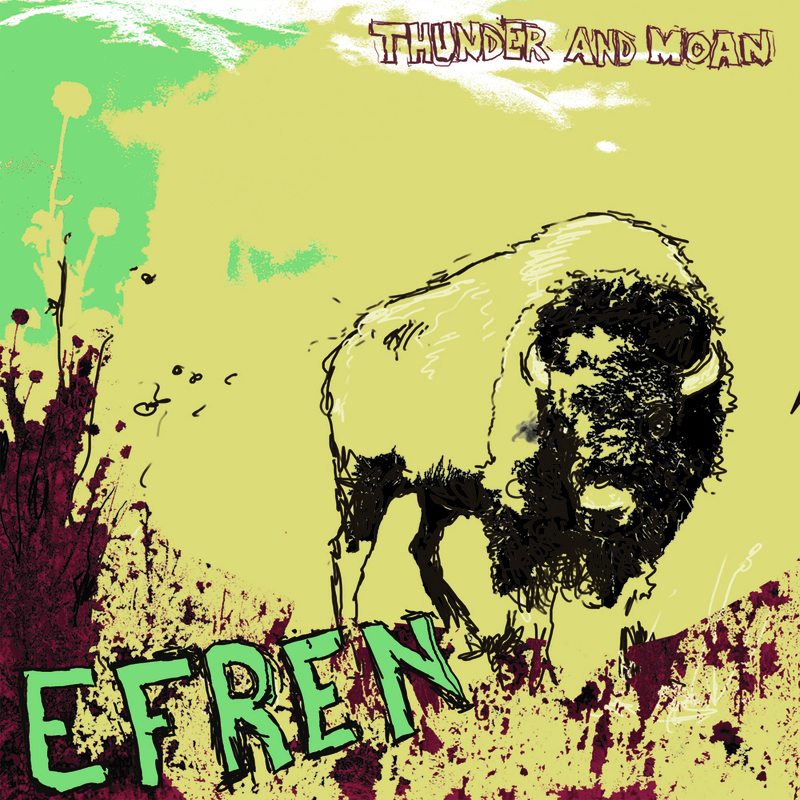 As of yet Efren has not released an album, but this is all due to change on Dec. 4th when the debut album “Thunder and Moan” will be released. The album was created on the kitchen table and the front porch, with a G4 ibook and an acoustic guitar and a few things to make a beat on. Using Garageband and the internal microphone on the laptop, tracks were laid with guitar, voice and toys. A sound novel of stories and songs about loss but also trying to lose the things that stop us from reaching the place we search for. 5 AM on a Thursday the initial track Montana Scare (my favourite) was recorded with coffee and a brewing southern spring storm. No mass editing, no over production, no buffers. Efren is not an individual but an outlook. Thunder and Moan will be released without standard CD pressing and expensive wasteful packaging. It will only be available via digital download, as to reduce waste and cost to both consumer and artist. So if you happen to be in Athens, Georgia on Dec 4th, then head over to the Flicker Theatre and Bar and catch Efren’s release party, supported by Taylor Hollingsworth & Major Love Event. P.S. I’ve had an exclusive preview of the album, it’s definitely worth checking out! Efren on the web – Myspace, Twitter, ReverbNation & Homepage.